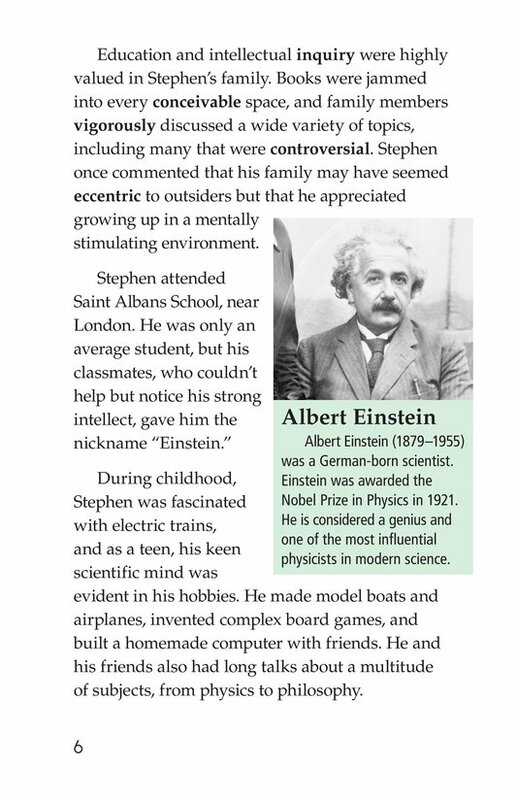 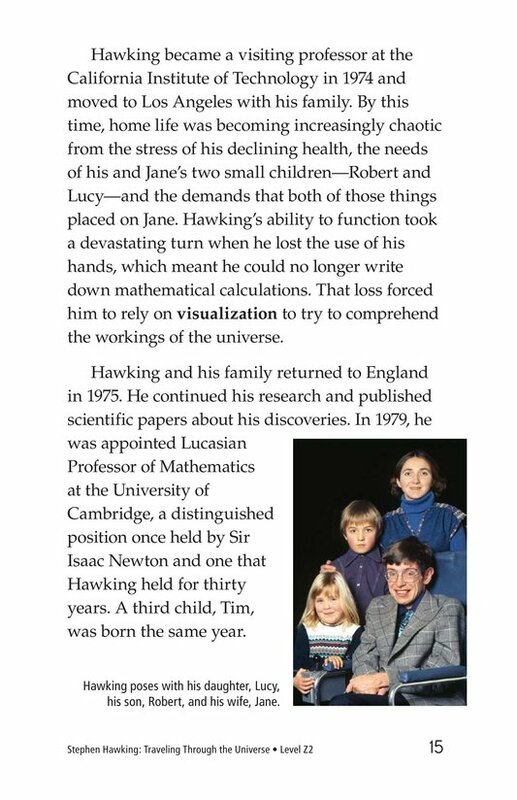 Stephen Hawking was a renowned scientist--and an inspiring human being. 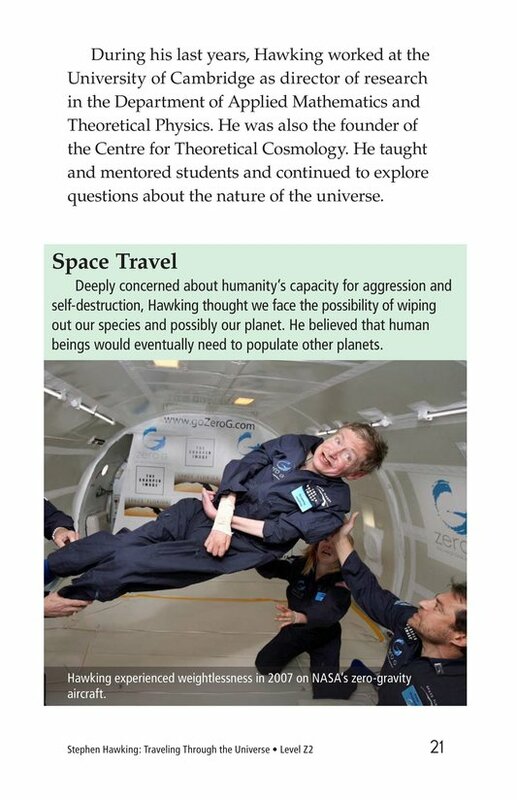 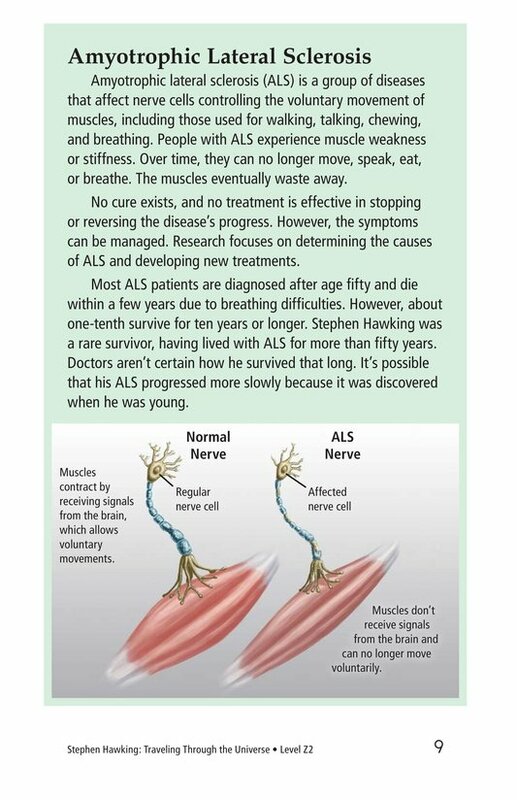 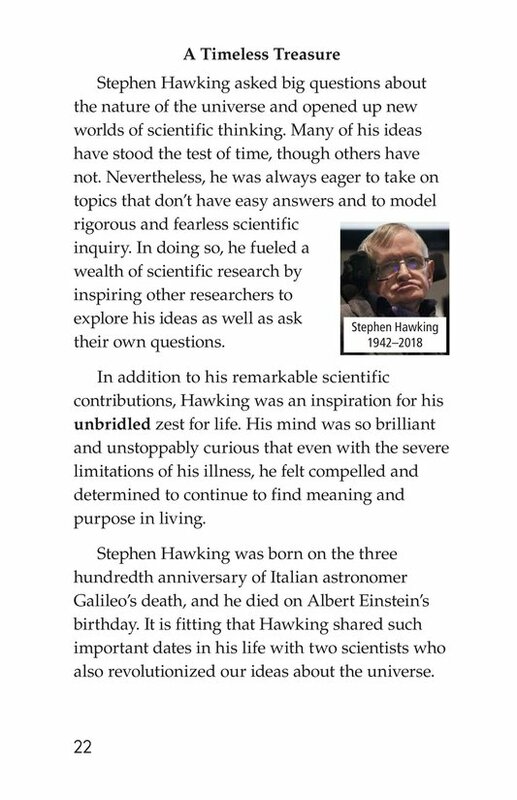 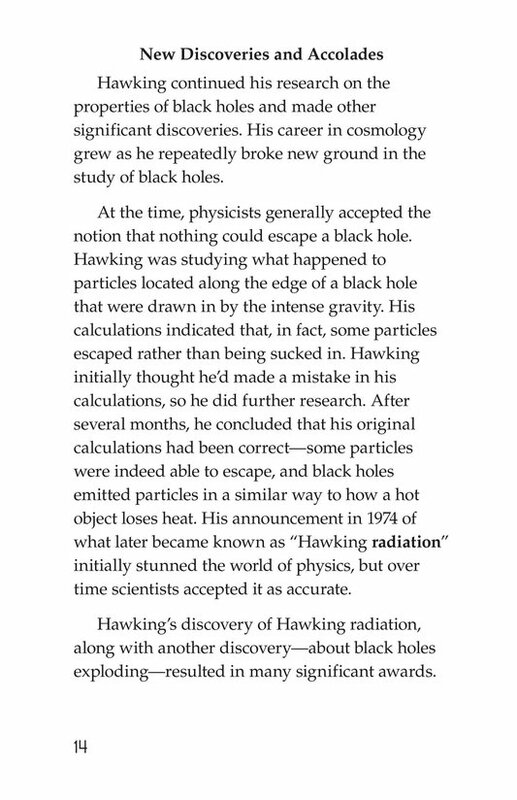 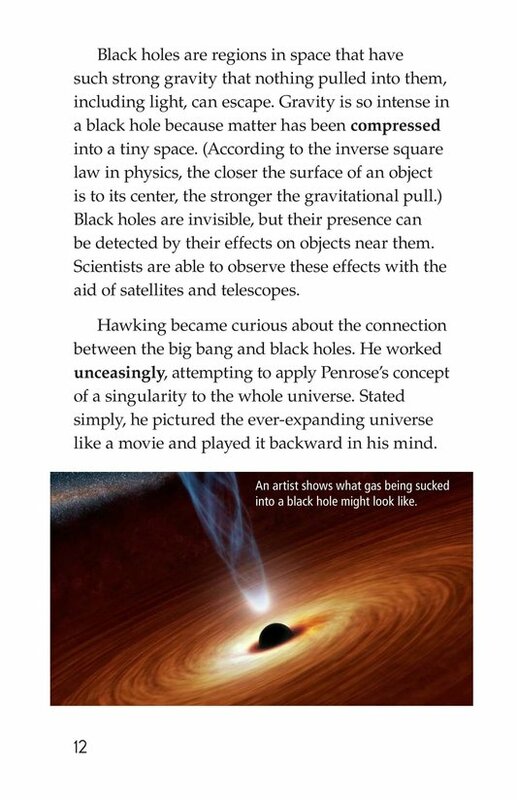 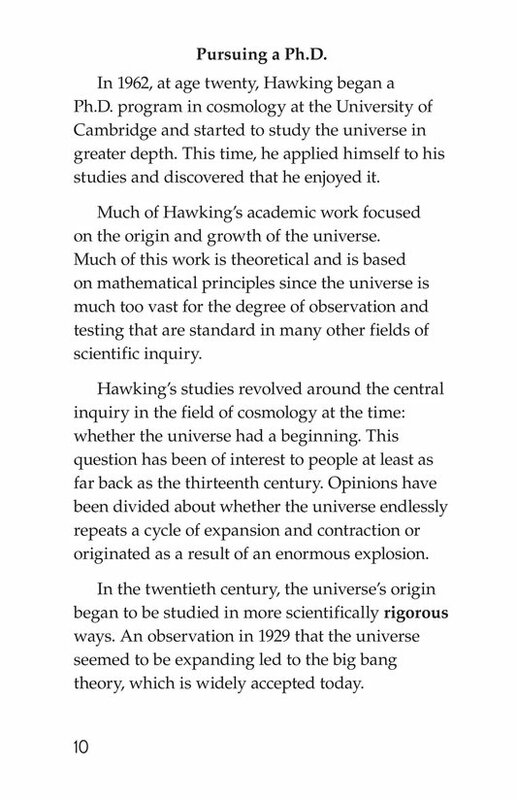 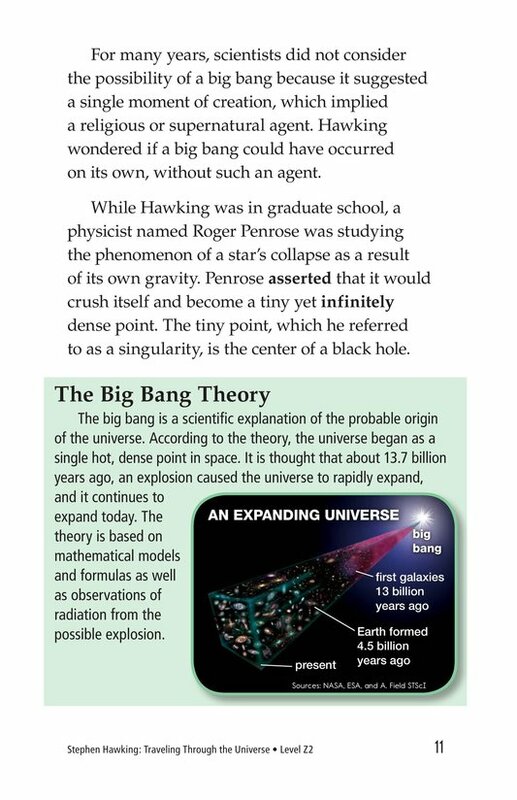 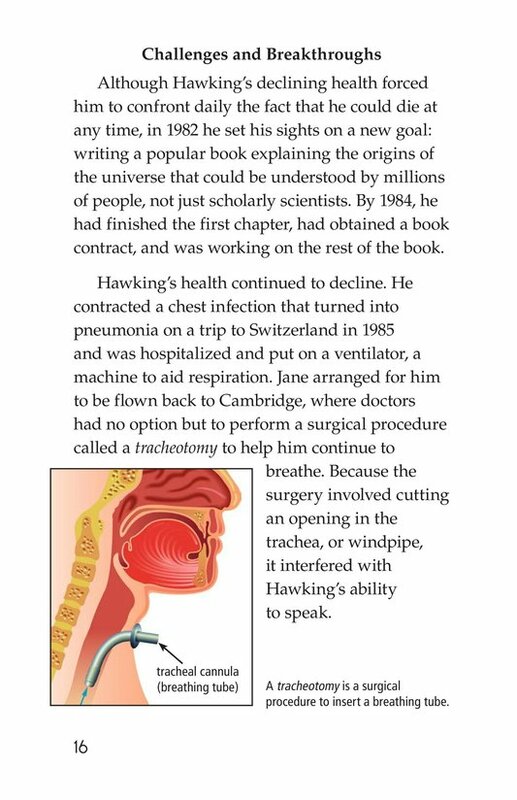 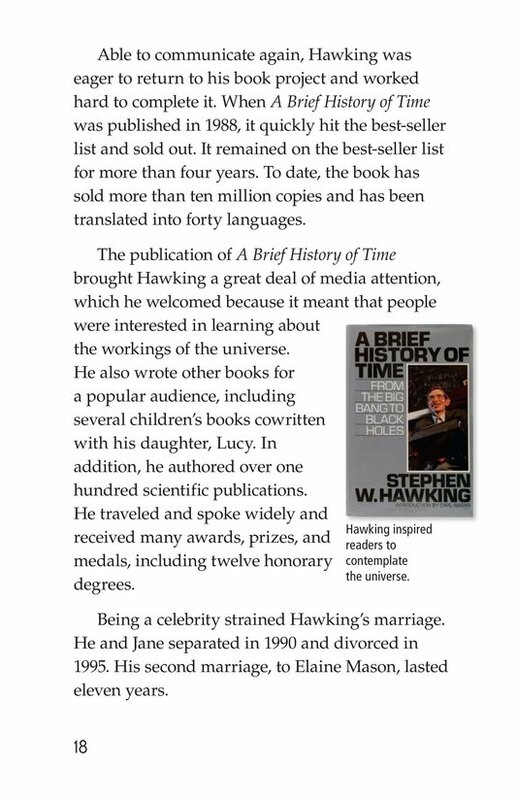 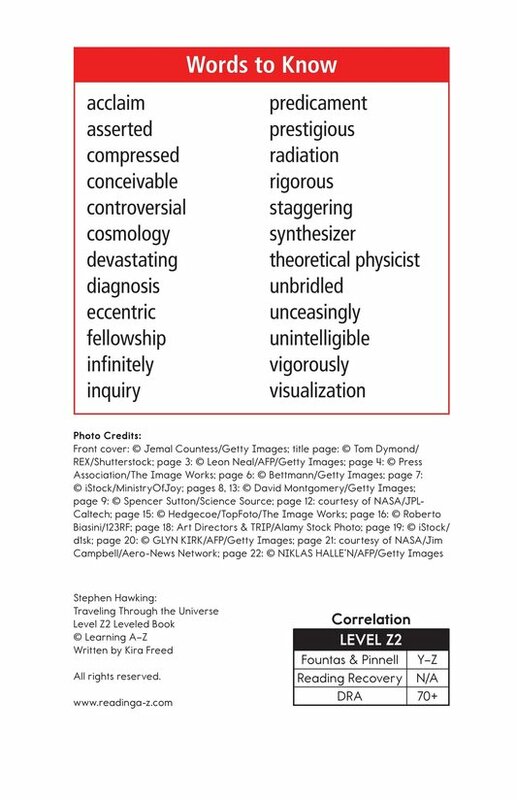 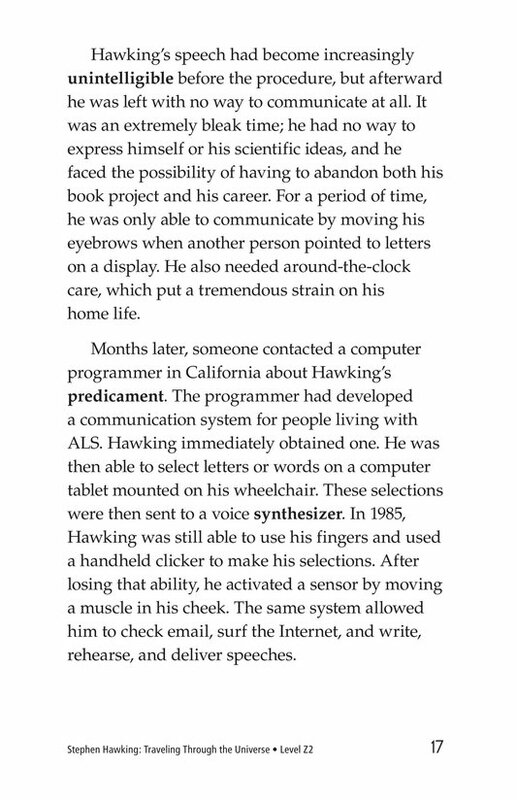 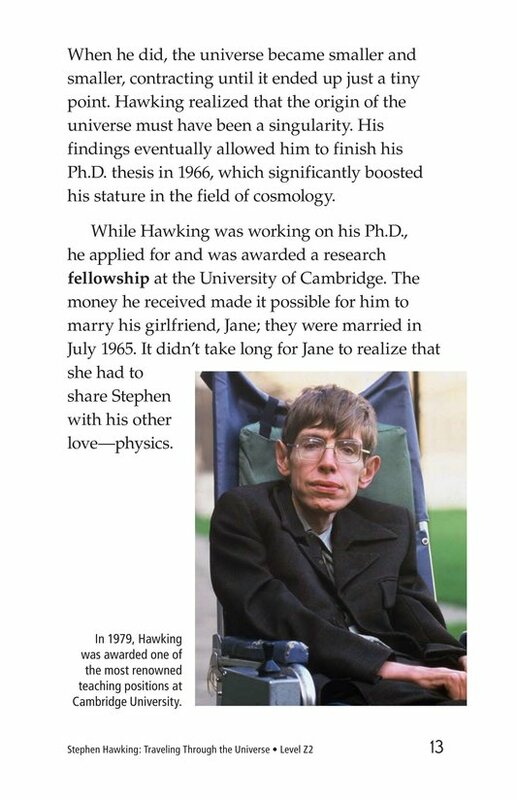 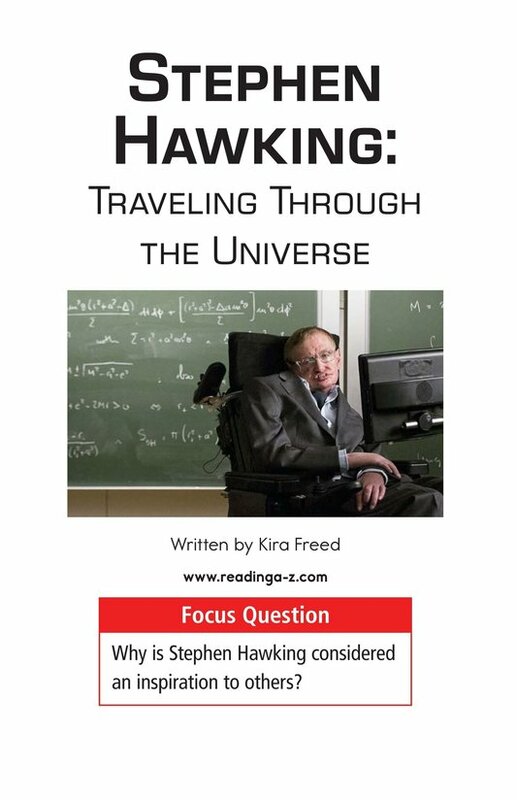 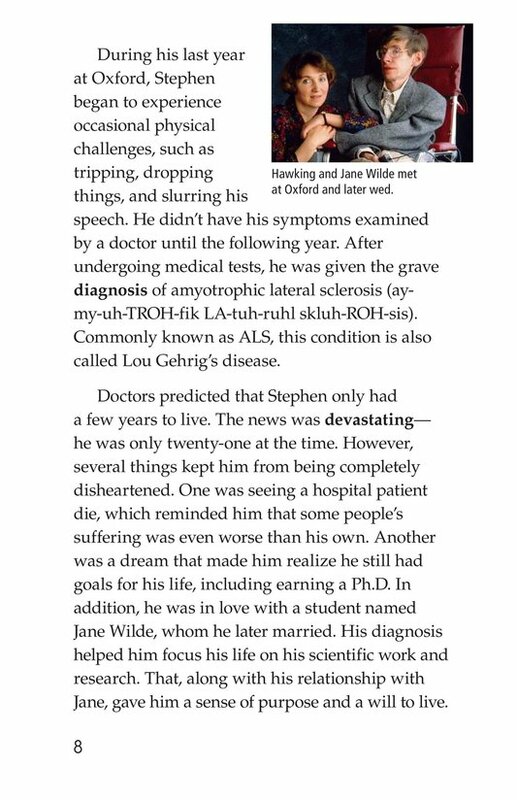 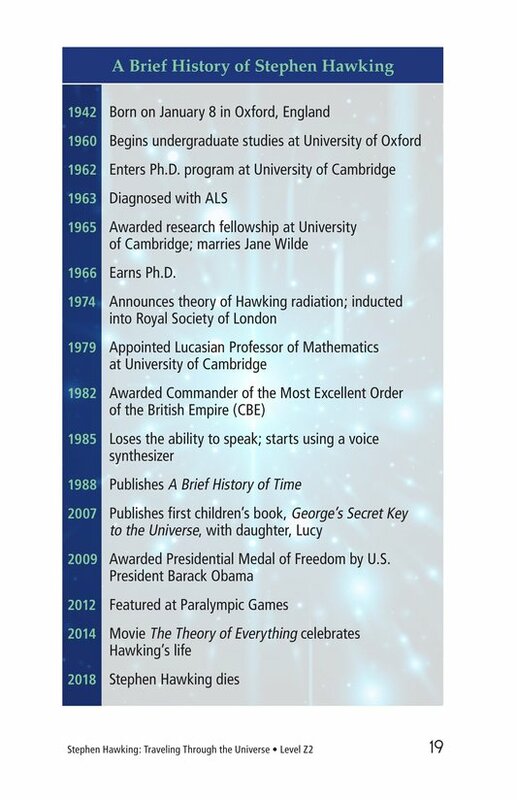 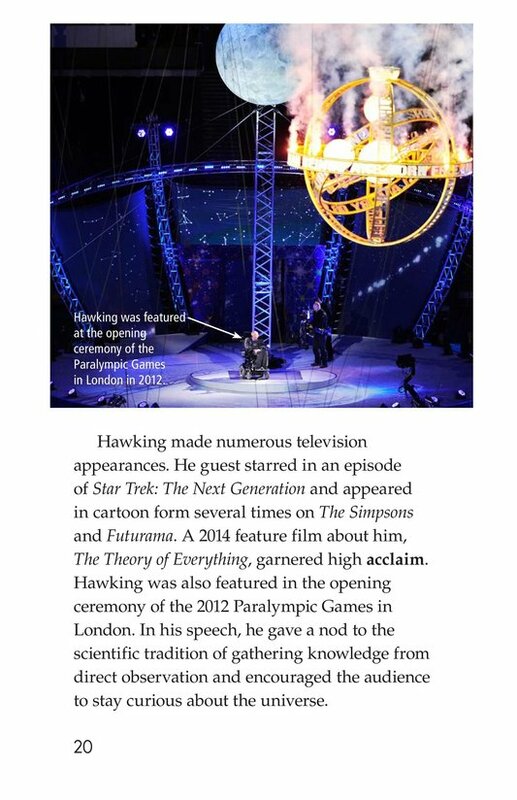 Despite suffering from debilitating Lou Gehrig's disease (ALS), Professor Hawking went on to develop scientific theories that changed our understanding of cosmology and the universe. 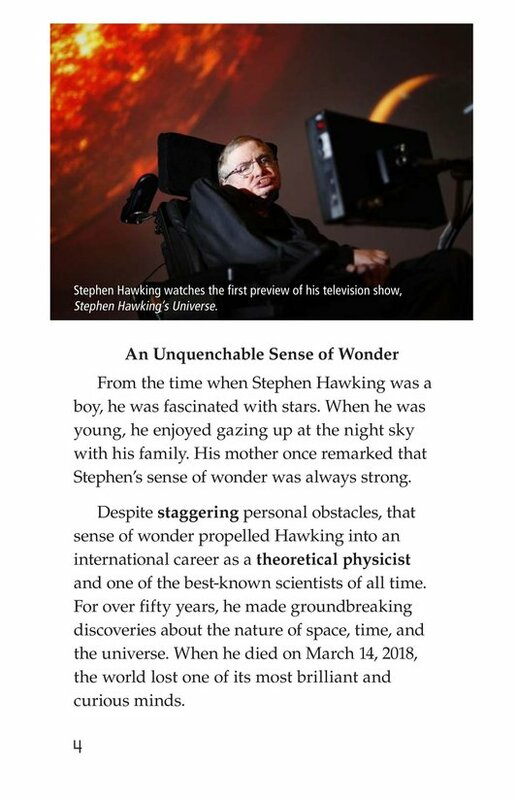 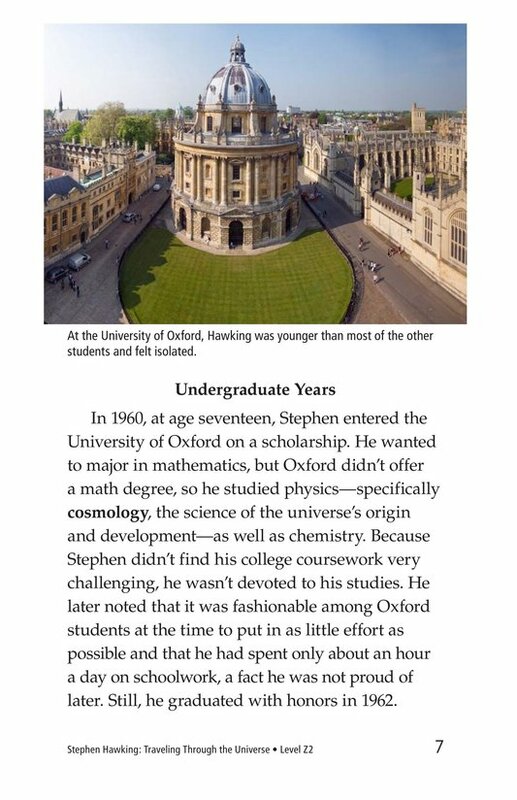 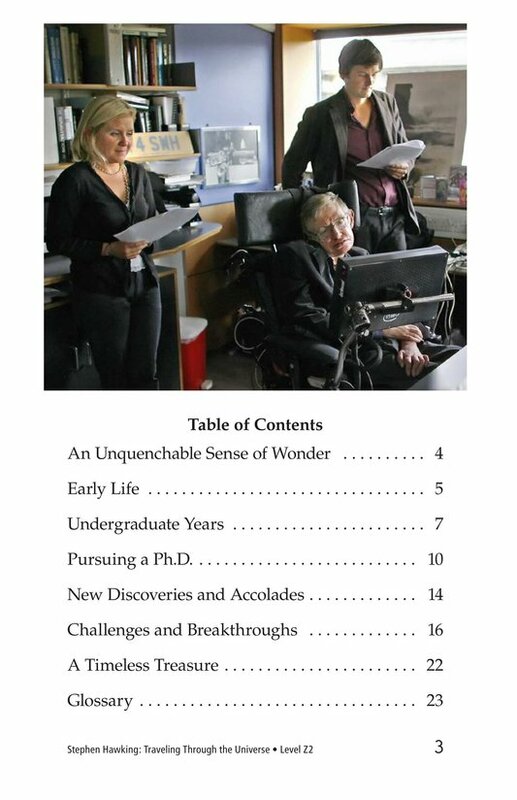 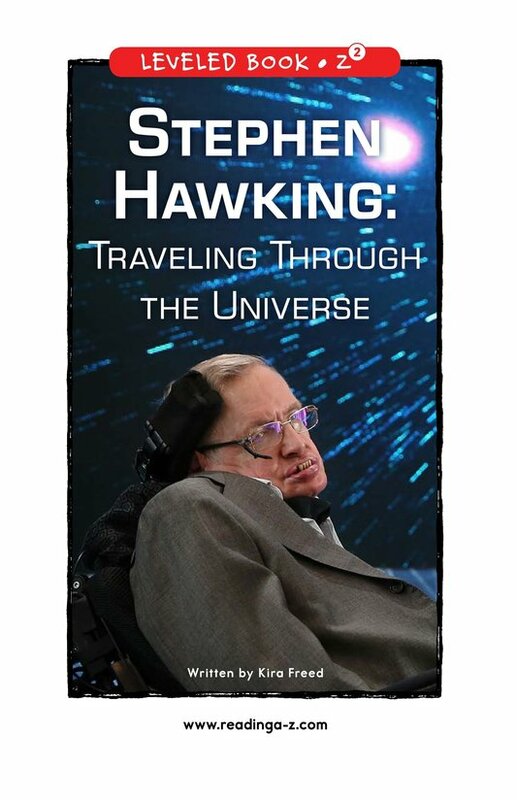 Stephen Hawking: Traveling Through the Universe takes students on a journey through Hawking's incredible life--including both his triumphs and tribulations. 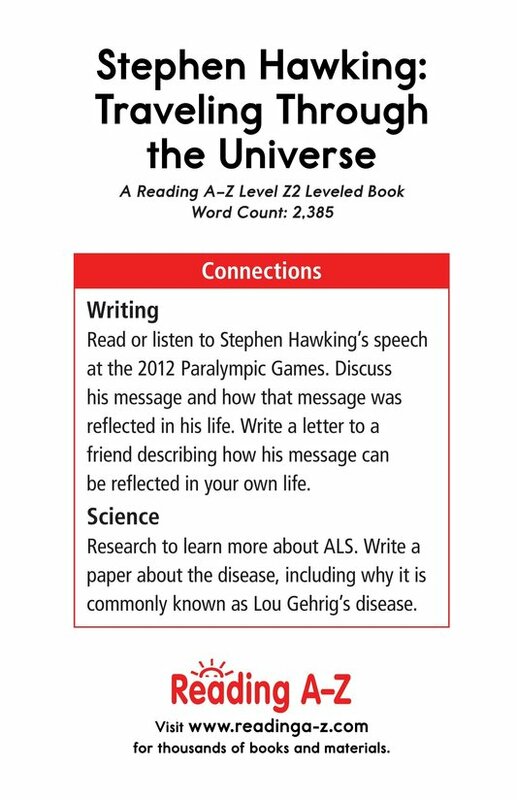 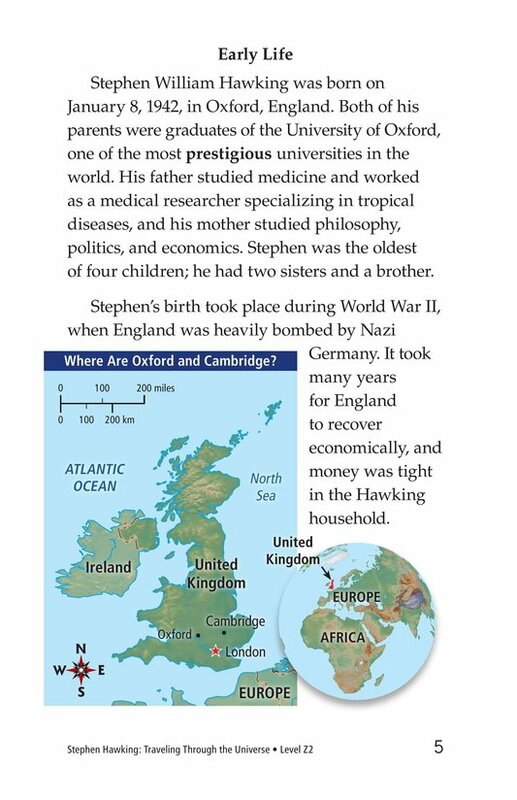 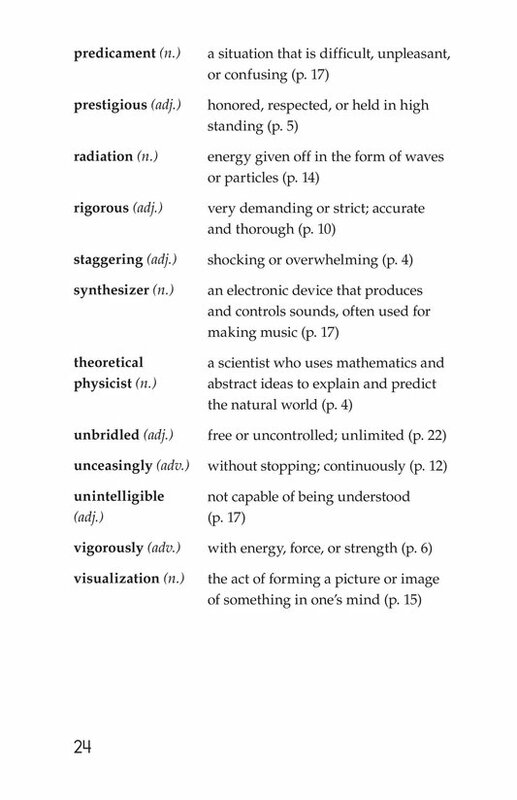 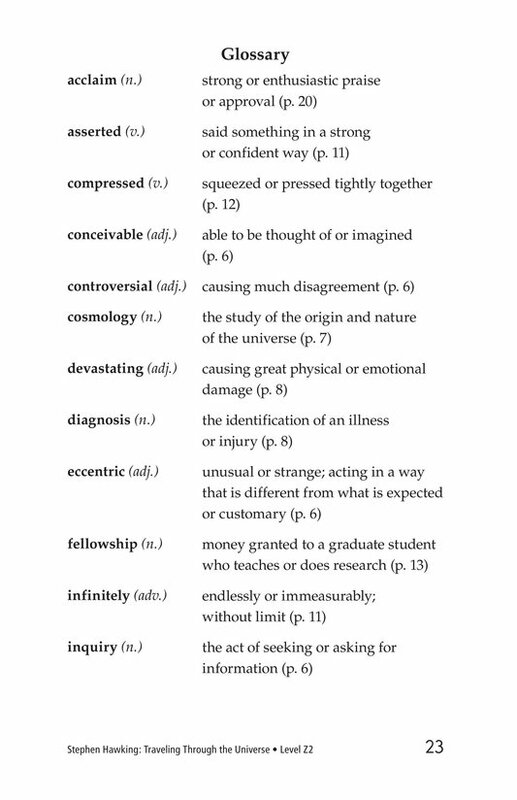 The book can be used to teach students the elements of a biography and the proper use of dashes.